It seems that several explorers bumped into what would eventually be known as American shores without realizing where they were; Christopher Columbus, Leif Erikson and Ponce de León, among others. On his travels in early 1513, Ponce de León sighted the shores of southern Florida, and landed near what is known today as St. Augustine. However, he didn’t know that he had landed, not on an island, but on a vast continent. Because he saw enormous amounts and different varieties of flowers, and that it was the time of the Spanish Easter celebration, he called the location, ‘Pascua de Florida’, which in the Spanish language roughly means ‘flowery Easter’. Regardless, Ponce de León claimed the land for Spain and continued exploring the river ways and bays found throughout the Florida Keys in search of his elusive fountain. After arriving in Cuba, he abandoned his search and briefly returned to Spain. Ponce de León didn’t give up easily. Five years later, the Spaniard tried again, this time with two ships and two hundred men. In 1521, his ships landed along the eastern shoreline of Florida. They actually stepped on American land, only to find themselves being shot at by Native Americans armed with bows and arrows. Unfortunately, an arrow struck Ponce de León and he and other injured crewmen sailed to Cuba, where he died from his wounds several months later. Floridians have honored Ponce de Leon’s discoveries and spirit by creating Pascua Florida Day, celebrated every April 2nd, in recognition of the Spanish explorer’s naming of their state. 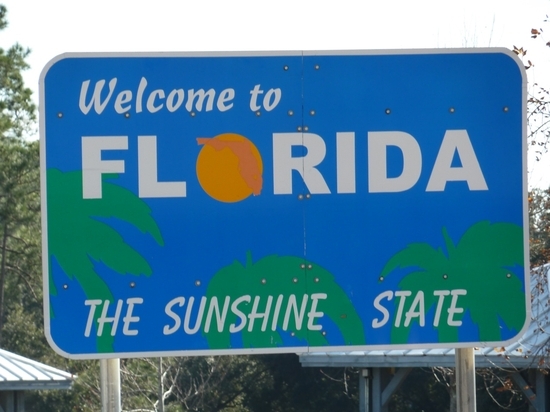 While the day is neither a federal or national holiday, Florida natives and school children take the time to learn a bit about the history of their state as the anniversary of Pascua Florida Day approaches every year. Because the explorers landed during the time of the Spanish Easter celebration, Ponce de León felt that the name, Pascua Florida, was completely appropriate for this new, uncharted land. Unfortunately, it was some time before Florida was properly settled. Native American tribesmen drove off not only Ponce de Leon’s men, but also those of the Narváez Expedition some eighteen years later, and again twenty years after that! Exploration and settlement of Florida would take many decades to develop, but thanks to the initial exploration, though accidental, of Ponce de León in his search for the fountain of youth, determined men and women followed in his footsteps to claim the southern land for Spain. Celebrated exclusively in Florida, Pascua Florida Day is a day to remember the daring and adventurous spirits of the men and women who came before us, to brave uncertainties, harsh winters and unfriendly inhabitants in order to broaden horizons and discover new lands and living opportunities. Florida celebrates this day with parades, civic events and speeches that remind not only Floridians, but all Americans, that we are here only because of the men and women who came before us, braving limitless difficulties and hardships to pave the way for settlement.